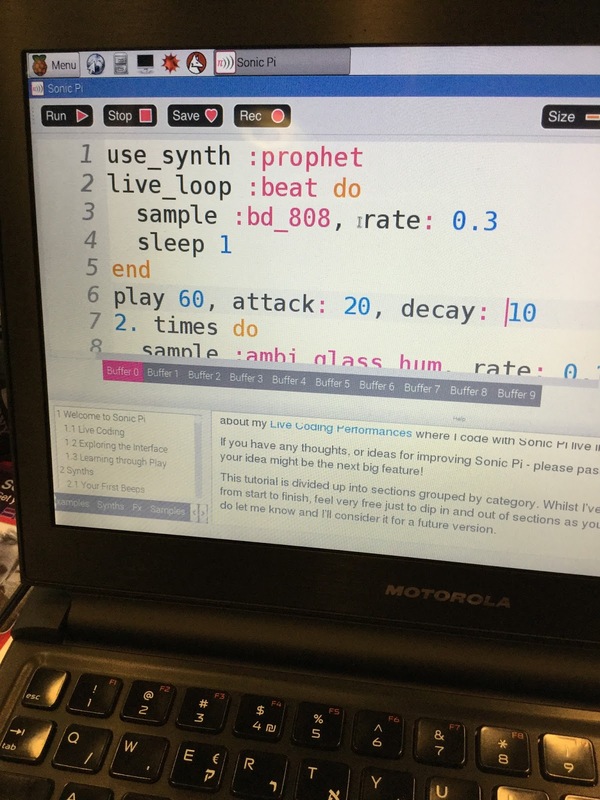 If you haven't played with it SonicPi (http://sonic-pi.net/) is well worth a go, it combines programming, computational thinking and music (or trying to create music in my case). Raspbian on the Raspberry Pi has it as standard, but is great that SonicPi is available on the Mac and PC as well. Here is an simple (if I am honest, because of a lack of musical ability) piece I have been play with. You can end up playing for hours trying out different sounds, synths, effects etc. Here is the sneaky bit, even in the code above there a mixture of threads, loops, sequences as well designing of the 'shape' of the sounds. There is also a community producing material/examples. For example at https://gist.github.com/rbnpi/7713ac59ed553d3f336e you can find code for the Star Wars theme. It is very hard to resist playing with the theme and adding drums, etc.